Founded in 1961, the African Wildlife Foundation (AWF), together with the people of Africa, works to ensure the wildlife and wild lands of Africa will endure forever. AWF is the leading international conservation organization focused solely on Africa. We believe that protecting Africa's wildlife and wild landscapes is the key to the future prosperity of Africa and its people - and for over 45 years we have made it our work to help ensure that Africa's wild resources endure. At AWF we approach all of our work at the landscape level - that is to say, we look at large landscapes (we have identified eight of these areas to date). Within these landscapes, we implement a variety of efforts that conserve land, protect species and empower people. Founded in 1990, Alley Cat Allies is dedicated to the protection and humane treatment of cats. Our mission is to end the killing of cats and lead the movement for their humane care. Alley Cat Allies has charted a course set on animal control and shelter industry reform and humane treatment through activities including: advocating for pounds and shelters to keep public records of animal intake and kill rates, for public and mandatory government oversight, and for increased pound and shelter accountability; mobilizing and educating the public and leading the national movement to end the killing of cats and to protect and improve their lives; and supporting the efforts of, and acting as the national voice for, thousands of individuals and groups across the U.S. who provide humane care for stray and feral cats. American Bird Conservancy's (ABC) mission is to conserve wild birds and their habitats throughout the Americas. Founded in 1994, it is the only U.S.-based group exclusively devoted to bird conservation throughout the Americas. ABC acts across the full spectrum of threats to birds to safeguard the rarest bird species, restore habitats, and reduce threats, while unifying and strengthening the bird conservation movement. ABC advances bird conservation through direct action and by finding and engaging the people and groups needed to succeed, regardless of their political, economic, or social point of view. ABC seeks innovative, fair solutions to difficult issues. The American Eagle Foundation (AEF) is dedicated to protecting the majestic Bald Eagle, the USA's National Symbol, and its habitat by supporting and conducting eagle and environmental recovery and education programs. The AEF cares for a collection of about 80 non-releasable birds of prey daily (including 47 eagles), which play an important role in its education and breeding programs. Also, numerous orphaned and injured raptors are rescued, rehabilitated and released. The American Society for the Protection of Nature in Israel (ASPNI) was founded in 1986 to help raise awareness and support for the work of the Society for the Protection of Nature in Israel (SPNI), Israel's oldest and largest environmental organization. Today, SPNI leads the public and decision-makers in the search for environmentally sustainable and economically sound ways to promote growth while protecting Israel's unique environmental heritage. Through education, organizing public involvement, informing decision-makers and proposing creative solutions to development plans, SPNI has established an impressive list of achievements. Since 1953, SPNI has worked to promote knowledge, love, and respect for the land among its citizens and abroad. The American Veterinary Medical Foundation (AVMF) is the charitable arm of the AVMA. For more than 50 years, the AVMF has been dedicated to our mission of developing resources to advance the science and practice of veterinary medicine to improve animal and human health. <br><br>Charitable contributions and support to the Foundation help veterinarians help animals. The AVMF provides programs in Education, Advocacy, Research and Service. <br><br>Established by the American Veterinary Medical Association (AVMA) in 1963, AVMF's national headquarters is based in northwest suburban Chicago. The AVMA, founded in 1863, is one of the oldest and largest veterinary medical organizations in the world, with more than 91,000 current members. Anderson Animal Shelter (AAS) was incorporated in 1966 and is the largest privately funded animal welfare organization in the Fox Valley area. The mission of AAS is to improve the lives of pets and people through service, education and advocacy. Anderson Animal Shelter cares for over 3,000 homeless pets each year, with a live release rate of over 96%. A variety of other services are also offered to the public. These include: low-cost spay/neuter, dog training and humane education programming. Chartered in 1934, the Animal Defense League (ADL) is a true no-kill shelter for abandoned, abused, neglected, or surrendered dogs and cats. Our mission is to enhance the quality of life for these animals by providing needed medical care, including spaying and neutering. Food, shelter, safety, and behavioral are also provided, along with compassion and loving attention. While maintaining a healthy and loving facility, ADL consistently works to find the best possible home for each resident animal. The ADL provides programs and services which strengthen the bond between animals and people. Through grass roots advocacy, education, legal intervention, and rescue, the organization is the leading voice for dogs and cats in crisis. Animal Friends, a premier companion animal resource center, is committed to nurturing and promoting the animal-human bond and creating a community where our relationship with companion animals is guided by compassion. Our mission is to ensure the well being of companion animals, while ending overpopulation, abuse and unwarranted euthanasia. It is our vision to: reduce the number of unwanted animals through aggressive spay/neuter programs; provide for the well-being of companion animals in need, while adhering to our no-kill tradition, and find each a lifelong, loving home; promote the animal-human bond through education and outreach programs; and act as an advocate on behalf of animals in crisis and as an enforcer of their rights and protection. The mission of Animal Humane New Mexico is to improve the lives of companion animals through sheltering, adoption, community education, providing quality veterinary services to families in need and programs that reduce pet overpopulation. In 2015, Animal Humane found loving, forever homes for 4,055 pets. For the sixth year in a row, Animal Humane re-homed 100% of the healthy pets in their care! In addition, they achieved a 91% Live Release Rate in 2015 as well as the following notable achievements: saved 1,688 pets from 15 overcrowded shelters through Project Fetch, conducted 4,941 spay/neuter surgeries at their Donor-subsidized Veterinary Clinic, provided free help to 915 families through their Behavior Helpline, reached 6,861 students and teachers at schools through 9,679 hours of humane education, distributed 152,608 pounds of pet food through their Pet Food Bank; a 46% increase over 2014 and worked with 279 families who fostered 1,323 pets for their shelter; 85% of them puppies and kittens. The Animal Legal Defense Fund (ALDF) fights to protect the lives and advance the interests of animals through the legal system. Founded in 1979 by attorneys active in shaping the emerging field of animal law, ALDF has blazed the trail for stronger enforcement of anti-cruelty laws and more humane treatment of animals in every corner of American life. Today, ALDF's groundbreaking efforts to push the U.S. legal system to end the suffering of abused animals are supported by hundreds of dedicated attorneys and more than 100,000 members. ALDF files groundbreaking lawsuits to stop animal abuse; provides free legal assistance to prosecutors handling cruelty cases; works to strengthen anti-cruelty statutes; encourages federal enforcement of existing animal protection laws; nurtures the future of animal law; and provides public education. The Animal Rescue Fund of the Hamptons (ARF) provides for the welfare of dogs and cats on the South Fork of Long Island through shelter and adoption services, medical care, spaying and neutering programs, community outreach and humane education. Founded in 1974, ARF has rescued and placed nearly 20,000 cats and dogs in loving homes. At any given time, ARF has over 100 animals in residence. ARF is a 'no-kill' adoption center. ARF will care for an animal regardless of how long it takes to find a loving home, except in extraordinary circumstances, such as incurable illness or severe and dangerous behavioral problems. In such cases, a cat or dog may be euthanized. ARF's mission is to actively rescue cats and dogs, provide quality care and offer sanctuary until loving homes can be found. Founded in 1926 the Animal Rescue League of Iowa (ARL) is Iowa's largest nonprofit animal shelter, caring for many thousands of pets each year. The ARL serves animals and people in need across the state, with a focus on Polk County and central Iowa. The ARL has grown dramatically since its founding expanding its programs and services. Through our proactive programs community outreach (which includes spay/neuter and veterinary assistance programs for owned pets), humane education and pet behavior programs, in the past few years we have begun to see a decrease in the number of animals we care for in the shelter, but our work is far from over. The ARL strives to serve people and pets in our community through our programs and services designed to promote animal welfare, to address the reasons animals end up in shelters, to find forever adoptive homes for the animals in our care, and to help keep pets in their homes with the people that love them. Founded in 1976, Animal Rescue is dedicated to those animals that are waiting for a home, or never find a home. At any one time we have approximately one hundred dogs and several hundred cats between our two locations; most of which are available for adoption. Animal Rescue services the greater Baltimore Maryland - York Pennsylvania area. Animal Rescue is a shelter for life for stray and abandoned animals. All our residents are given the best possible care to allow them to live out their natural lives. No animal is put to death because of medical expenses or the inconvenience of care. We also promote spay/neuter programs, and operate a Crisis Intervention Program which keeps the human/animal bond intact by providing assistance to the elderly, sick, and the infirm. The Animal Shelter of Wood River Valley is on a mission to change lives by connecting pets and people. We do this through innovative programs that inspire and have impact beyond our borders. The first "no kill" shelter in the State of Idaho, we promote companion animal welfare by providing temporary shelter for homeless animals, adopting them to qualified homes and reducing animal abuse, neglect and overpopulation through community education and spay/neuter services. Founded in 1972, the Animal Shelter is funded almost entirely by private donations and grants. Established in 1948, the Animal Welfare Association (AWA), provides shelter for orphaned animals, low-cost spay and neuter services, pet assisted therapy and humane education for the community. For more than fifty years, AWA has been committed to the prevention and eradication of animal suffering. Each year, more than 9,500 animals receive care through AWA programs. AWA provides care and shelter for orphaned animals with a capacity of 65 dogs and puppies, 150 cats and kittens, and 60 rabbits and small animals. AWA veterinary staff regularly performs more than 10,000 spay and neuter surgeries each year. During the school year, AWA presents humane education programs to school classrooms and youth groups throughout Camden, Gloucester, and Burlington Counties. Horses brutally butchered for sale abroad. Dogs and cats stolen for experimentation. Wildlife caught in brutal traps. Farm animals confined in coffin-like crates. Majestic whales slaughtered at sea. The Animal Welfare Institute (AWI) works around the world and on Capitol Hill to address these issues and other forms of animal suffering. Founded in 1951, our mission is to eliminate pain and fear inflicted on animals by humans. In 2006, we launched our Animal Welfare Approved program which sets high welfare standards for animals raised for food; by labeling products from compliant family farms, this program provides consumers with humanely produced eggs, meat and dairy products. The Animal Welfare League of Arlington's mission is to improve the lives of animals. The League provides temporary care and refuge for homeless and suffering animals; places animals in loving, responsible homes; prevents cruelty to animals; provides animal control services; educates the public; and provides community services. Founded in 1944, the League provides animal control and sheltering for Arlington County under contract, and also offers many community service programs. The Animal Welfare League of Arlington also has several outreach programs to assist pets and their owners including humane education, spay/neuter programs, and caring for pets at the League when owners face an emergency. The Animal Welfare Society (AWS) is a private humane society formed in the early 1960's. In 1967, AWS became incorporated and has now expanded to a shelter of more than 13,000 square feet, caring for more than 3,300 animals annually. Our service area for adoptions and other services extends throughout Southern Maine. We provide municipal shelter services to 21 communities representing a population of nearly 200,000 persons. AWS, a non-profit organization, exists to provide humane shelter and care to animals temporarily in need of housing, to assist in disaster response and to further the cause of responsible animal adoption and ownership through education and public awareness. The society actively promotes kindness, the elimination of cruelty and neglect to all animals, and the lifelong commitment of people to their pets. The Aquarium's mission is to instill a sense of wonder, respect and stewardship for the Pacific Ocean, its inhabitants and ecosystems, by involving the community, the region, and the nation in engaging, educational, and empowering exhibits and programs. Our vision is to create the first aquarium, and perhaps the first institution, in the world dedicated to conserving and building Natural Capital (Nature and Nature's services) by building Social Capital (the interactions between and among peoples). <br>Opened in 1998 and located on the urban waterfront in Long Beach, California, the Aquarium of the Pacific hosts approximately 1.5 million visitors each year. The 156,000 square foot campus houses over 11,000 animal inhabitants of the Pacific Ocean, which provide the foundation for all Aquarium activities and serve as ambassadors for their animal counterparts in the wild. Since 1957, the Arizona Humane Society (AHS) has fostered the belief that every pet deserves a good life. With a vision to end animal suffering, we rescue, heal, adopt and advocate for sick, injured and abused animals. Asheville Humane Society is about hope, not heartache. As Buncombe County's critical safety net since 1984, we are always here to save and protect every animal. We have mastered the art of saving lives within our walls and now we are going even further, helping our community's pets and their people thrive together. We are going beyond a no-kill community to ensure that each animal has the quality of life they deserve - a life worth living. Founded in 1992, the Berkshire Humane Society (BHS) is an open-admission animal support organization with a twofold mission: to ensure the compassionate care, treatment, and whenever possible, placement of homeless animals through the shelter operation; and to promote and improve the welfare of all animals through community education and outreach. In addition to our primary mission of sheltering animals, the BHS conducts many vital programs that benefit the people of our community, including, free educational programs for local school children, a pet-food bank for economically distressed pet owners, and assistance for The Elizabeth Freeman Center in providing abused women with a safe haven for their pets during crisis. Big Cat Rescue, founded in 1992, is an educational sanctuary devoted to rescuing and providing a permanent home for exotic (i.e. wild, not domestic) cats who have been abused, abandoned, bred to be pets, retired from performing acts, or saved from being slaughtered for fur coats, and to educating the public about these animals and the issues facing them in captivity and in the wild. The sanctuary houses the most diverse population of exotic cats in the world, with many species of wild cat represented among more than 60+ residents. Today the sanctuary is devoted to its vision of a world where animals are treated with respect, and its mission of providing the best possible home for the animals in our care. Opened in 1955, the Birmingham Zoo is Alabama's most popular attraction, drawing more than 644,000 visitors annually. Approximately 1,000 animals of 250 species call the 122-acre Birmingham Zoo home, including sea lions, African elephants and other endangered species from six continents. The mission of the Birmingham Zoo is to inspire passion to conserve the natural world through emphasizing conservation, education, scientific study and recreation in all aspects of the Birmingham Zoo's exhibits, programs, facilities and activities. The Zoo's vision is to be the leading zoological and botanical conservation, education and scientific study resource within the U.S. and the family attraction of choice throughout the entire region. The Bucks County SPCA assists animals in need and prevents suffering through rescue, rehoming, cruelty investigation and prosecution, and community outreach. With our community's support we have grown and expanded, now operating two shelters as well as extensive humane investigation and education programs. The Bucks County SPCA works to keep animals in their homes and out of the shelter system by offering public training classes, temporary boarding for pets referred by a social service agency during emergencies and donating pet supplies to food pantries. California Waterfowl is an award-winning 501(C)(3) nonprofit, conservation organization with a mission to conserve the state's waterfowl, wetlands, and hunting heritage. In the last 20+ years, we have completed more than 1,240 individual projects to protect, restore, and enhance more than 454,000 acres, providing habitat for millions of birds and animals. Our Wood Duck Program has hatched more than 686,000 ducklings, while our Banding Program has marked nearly 242,000 waterfowl. Our Youth and Education Programs have reached more than 300,000 children, young adults, and families to help to create a better understanding of biology, conservation, and outdoor heritage. All efforts are supported largely by donations and the work of over 1,500 dedicated and tireless volunteers. Can Do Canines is dedicated to enhancing the quality of life for people with disabilities by creating mutually beneficial partnerships with specially trained dogs. We envision a future in which every person who needs and wants an assistance dog can have one. In 1987 we incorporated as the Companion Dog Connection, Inc. Over time we increased our service area to include Wisconsin, North and South Dakota, and Iowa and added new services, providing assistance dogs to people with seizure disorders, children with autism, and people with diabetes complicated by hypoglycemia unawareness. We provide the training and placement services free of charge to our clients. We will also consider keeping a relationship together and training a client's pet dog. We work with local shelters and rescue organizations to identify dogs suitable for assistance dog work. We have a social justice initiative where we work with inmates in Waseca Women's Federal Prison and Faribault State Prison for puppy raising. The Capital Area Humane Society, founded in 1883, is dedicated to the elimination of cruelty, abuse, neglect, and abandonment of animals. The Society achieves its goals through programs and services for people and pets in the community based on humane principles and respect for non-human animals. Our vision is for all animals to live free of suffering and all companion animals to be valued members of loving and caring families. Mission:<br>Carolina Raptor Center (CRC) is dedicated to the conservation of raptors.<br><br>Vision Statement:<br>1) To promote environmental stewardship through education about our environment, the role raptors play in our ecosystem, and sustainable habitats that support animals and humans alike?<br><br>2) To build on CRC's reputation as a leading rehabilitation center to become recognized as a center of excellence for our care of, and success at releasing, injured and orphaned raptors back into the wild and for developing state-of-the-art avian medicine techniques.<br><br>3) To leverage a growing database on raptors, and growing networks in the scientific community, into research that advances our knowledge of raptor biology, behavior and treatment, as well as the environmental health of our world in general.<br><br>4) To build on CRC's program, fiduciary and governance practices to become broadly recognized as a center of excellence in all of our organizational operations. Cat Care Society (CCS) was founded in 1981 to improve the quality of life for homeless, injured and abused cats in the Denver metropolitan area. The Society's goals are: to sponsor educational programs that promote responsible pet ownership, humane treatment of all animals, and the elimination of pet overpopulation; to shelter cats in a healthy, cage free environment and to find compatible and responsible families for every cat; to provide community outreach programs that improve the quality of life for cats and people; and to be a friend to all cats. The shelter provides a temporary refuge for up to 45 adult cats until an appropriate and permanent home can be found for each. Veterinary care, premium diet and human interaction are lovingly provided. Catskill Animal Sanctuary rescues farmed animals, ignites social change to end their exploitation, and champions vegan living. Center for Great Apes, founded in 1993, provides a permanent sanctuary for orangutans and chimpanzees who have been retired from the entertainment industry, from research, or who are no longer wanted as pets. The Center provides care with dignity in a safe, healthy, and enriching environment for great apes in need of lifetime care. Our sanctuary home is located in Wauchula, on over 100 acres a few miles from the beautiful Peace River in south central Florida. Routine health checks, periodic physicals, and when necessary, emergency care are handled in the Arcus Great Ape Health Center. The Central Florida Zoo & Botanical Gardens is dedicated to preserving the beauty and wonder of animals and their habitats. We are committed to sharing our knowledge, engaging visitors, and celebrating our natural world. First established as the Sanford Zoo in 1923, the zoo continues to grow as Seminole County's premier recreational and educational attraction. Discovering animals is just the beginning. Over 100,000 school children participate in formal education programs every year, fostering an appreciation for animals and the importance of biodiversity. Conservation of animals is paramount; Species Survival Plans, coordinated through the Association of Zoos & Aquariums, are attempting to maintain genetic diversity to ensure healthy, vigorous animals to reproduce now and in the future. The Champaign County Humane Society (CCHS) was established as a branch of the Illinois Humane Society in 1889 and chartered as the Champaign County Humane Society in 1903. In 1951, a diverse group of local citizens who cared deeply about animals gathered together to establish our first animal shelter near Bondville, Illinois, and in June of 1988 we moved into our current shelter in Urbana. We are an open admission shelter and accept all animals in need, regardless of age, physical condition or adoptability. Each year, CCHS cares for over 2,000 homeless pets through a comprehensive animal welfare program. For over 144 years, Charleston Animal Society has been preventing cruelty to animals. Nationally recognized as a leader in animal protection and rescue, Charleston Animal Society will not rest until every animal in need of a home finds one. Cheetah Conservation Fund's (CCF) mission is to be the internationally recognized centre of excellence in the conservation of cheetahs and their ecosystems. CCF will work with all stakeholders to develop best practices in research, education, and land use to benefit all species, including people. While CCF's main headquarters are in Namibia -- the country with the largest number of wild cheetah, its reach and vision are worldwide. CCF has close links and assists in training and sharing program successes with other countries where cheetah live. CCF's international program includes distributing CCF materials, lending resources and support, and providing training through Africa and the rest of the world. Efforts are currently underway to develop new conservation programs or support existing cheetah conservation efforts. A leader in conservation, captive breeding and animal care, Cheyenne Mountain Zoo connects people with wildlife and wild places through experiences that inspire action. 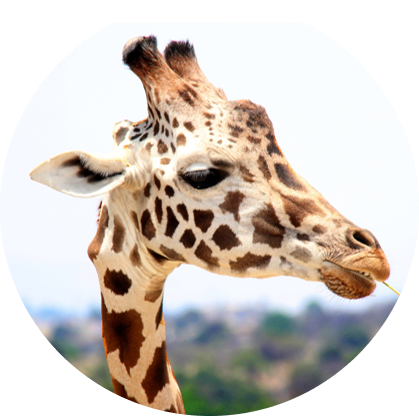 Our vision is that every kid, of any age, will have an experience for a lifetime with every visit.<br>Founded in 1926, the Zoo is a place where memories are made and people of all ages and all walks of life come together to explore the animal kingdom. The Zoo is open every day of the year and is home to more than 1,000 animals representing approximately 142 species, 30 of which are endangered.<br>Cheyenne Mountain Zoo is involved in animal conservation efforts around the world including giraffe in Uganda, elephants and black rhinoceros in Kenya, Cape griffon vultures in South Africa, orangutans in Indonesia, amphibians in Panama, and black-footed ferrets and Wyoming toads in the western United States. Through the Zoo's Quarters for Conservation program, over $1.9M has been raised for field conservation since 2008. The Cincinnati Zoo & Botanical Garden was founded in 1873 and officially opened its doors in 1875, making it the second oldest Zoo in the United States. The mission and vision of the Cincinnati Zoo & Botanical Garden is dedicated to creating adventure, conveying knowledge, conserving nature, and serving the community. Over one million people visit the Zoo's award-winning exhibits, and more than 500 animal and 3,000 plant species annually. In 1972, a group of concerned Houstonians founded Citizens for Animal Protection (CAP) in response to the pervasive problem of thousands of neglected and abused animals in Harris County. CAP is committed to sheltering, rescuing and placing homeless animals in loving homes. 39 years later, after operating in a strip center, CAP has moved into our very own animal shelter facility. CAP advocates respect and compassion for all animal life - we speak for those who cannot speak for themselves. CAP also provides humane education to prevent animal cruelty and raise awareness in the community of the needs of animals. To fulfill our mission, CAP has developed and established many successful programs and services to enhance the lives of pets and people in the Greater Houston Area and surrounding counties. Some of these programs are unique in Houston, such as our Weekend Sponsor Program and our Feral Cat Assistance Program. Founded in 1972, the Clearwater Marine Aquarium (CMA) works to restore and protect our marine environment. We accomplish our mission through preserving our marine life and environment while inspiring the human spirit through leadership in education, research, rescue, rehabilitation, and release. <br><br>Today, Clearwater Marine Aquarium is an internationally respected center for animal care, public education and marine research. Yet, in spite of tremendous growth and a global presence, we also remain a neighborhood aquarium, a place where children and adults alike can visit anytime to wonder at the unending diversity, grace and beauty of the creatures of the sea. We invite everyone to visit often and soon to share in the environmental excellence and caring of our waters and marine life, no matter where you may live. The Cleveland Animal Protective League's (APL) mission is to foster compassion and end animal suffering. Incorporated in 1913, it is a private, independent humane society that is located in Cleveland's Tremont neighborhood. The APL's Humane Investigations team investigates reports of animal cruelty in Cuyahoga County and assists with the prosecution of those cases. The APL provides shelter to animals that have been relinquished by their guardians or rescued by the APL from abuse or neglect, and to stray or abandoned cats. It has achieved 100 percent placement of healthy, friendly animals. The APL also provides veterinary care to sick or injured animals that are admitted into our shelter, can be safely and humanely treated, rehabilitated in foster homes, and then placed into loving homes. The APL offers outreach programs in the community that reduce the birthrate of unwanted litters of cats and dogs and provide resources and support to pet owners in targeted, under-served areas. We create compelling experiences that connect people with wildlife and inspire personal responsibility for conserving the natural world. The mission of the Columbus Zoo and Aquarium is to lead and inspire by connecting people and wildlife.<br><br>Today, the Zoo is a nationally and internationally acclaimed conservation center, housing more than 10,000 animals representing nearly 600 species. <br><br>In addition to its role as a global conservation leader, the Zoo is a renowned year-round educational and recreational facility for visitors of all ages, backgrounds and experiences - attracting 2.2 million visitors annually with a membership base representing more than 82,000 households. <br><br>The Zoo resides on 580 acres consisting of six zoogeographic regions, a water park and a golf course - making it one of the fastest growing zoos in the world and the third largest municipally affiliated zoo in North America. The Connecticut Humane Society is the leading resource in the state for companion animal welfare; enriching the lives of families and communities through adoption services, medical care, education, and prevention of cruelty. The Coulee Region Humane Society actively promotes the humane treatment of animals and positive human-animal relationships. The Dallas Zoological Society works to support the Dallas Zoo as an outstanding center of education, entertainment and wildlife conservation. The Society supports this mission through: fundraising; volunteerism; promoting public awareness and participation; and enhancing the visitor experience. We exist to broaden support for worldwide conservation efforts by creating an environment which allows our community and visitors to experience dramatic, engaging and diverse presentations for the living plant and animal world through excellent animal management, solid conservation science (research) and dynamic educational programs. Days End Farm Horse Rescue (Days End) is a volunteer-based, animal welfare organization established in 1989 to ensure quality care and treatment of horses through intervention, education and outreach. Since its beginning in 1989, DEFHR has been a place where children and adults have found enrichment, satisfaction, sadness and purpose through helping to provide care for unwanted, abused or neglected horses. DEFHR has gone from a small non-profit sheltering only a few horses annually, to a full-scale and well-respected rescue and rehabilitation facility housing on average 60 to 90 horses at any given point in time. The Detroit Zoological Society operates the Detroit Zoo and Belle Isle Nature Zoo. Situated on 125 acres of naturalistic exhibits, including the Arctic Ring of Life and the Australian Outback Adventure, the Detroit Zoo houses over 7,900 animals of 270 different species. The Belle Isle Nature Zoo encompasses 20 acres of forested wetlands with nature trails, a lodge and live animal exhibits focusing on Michigan wildlife. The Belle Isle Nature Zoo focuses on Michigan wildlife, flora and fauna, and offers family nature programs and education programs for schools and community groups. The Dian Fossey Gorilla Fund International is dedicated to the conservation, protection and study of gorillas and their habitats in Africa. Founded originally by Dian Fossey as the Digit Fund, the organization has since grown to incorporate a holistic and integrated approach, which includes close collaboration with local communities as well as partners from around the world. In addition, we believe that the value of our work is even more far reaching. When gorillas are protected, so are their important forest habitats, which are important ecosystems that support our planet and all life on earth. Established in 1977, Dogs for Better Lives (formerly Dogs for the Deaf) is a national non-profit organization that rescues, trains and places dogs with people who have different disabilities and needs throughout the United States. Hearing Dogs, Autism Assistance Dogs, Program Assistance Dogs (dogs that work with teachers, counselors, and physicians), and Career Change Dogs are free to clients after a $50 application fee and refundable deposit. <br><br>Out of town visitors and local residents can visit and learn more about Dogs for Better Lives by taking a free tour of the facility weekdays at 11 a.m. or 1 p.m. The address is 10175 Wheeler Road, Central Point, Ore., 97502. For more information visit www.dogsforbetterlives.org or call 1-800-990-DOGS (3647). East Coast Assistance Dogs D/B/A ECAD, Educated Canines Assisting with Disabilities was founded by Lu and Dale Picard. When Lu's father suffered a stroke, she saw how much he hated being dependent on her. She taught their family pet to help him rise from a chair and retrieve some items, and noticed that her dad actually became more active and less depressed than when all his help came from a human. Lu saw first hand how Service Dogs could change people's lives, and in 1995 quit her full-time job to start ECAD. ECAD has grown to have training facilities in Connecticut and New York, and have placed Assistance Dogs in over a dozen states. Since our founding in 1874, the East Bay SPCA has been a national leader in and advocate for animal welfare. Our shelter, adoption services and advocacy date back 140 years and our low-cost veterinary clinic established in 1927, was one of the first in the nation and still stands alone in our region. <br><br>The East Bay SPCA is committed to the welfare of cats and dogs in the communities we serve. We strive to eliminate animal cruelty, neglect and overpopulation by providing programs and education that support people and companion animals.<br><br>We believe in keeping people and their pets together and provide affordable veterinary and spay/neuter services, and educate owners and the general public on responsible pet ownership with behavior and training classes and outreach to children and adults teaching humane values. <br><br>We have two Adoption and Education Centers and three clinics in the community, serving Alameda and Contra Costa counties. Building on over 40 years of groundbreaking science, EcoHealth Alliance is a global, nonprofit organization dedicated to protecting wildlife and safeguarding human health from the emergence of disease. The organization develops ways to combat the effects of damaged ecosystems on human and wildlife health. Using environmental and health data covering the past 60 years, EcoHealth Alliance scientists created the first-ever, global disease hotspots map that identified at-risk regions, to help predict and prevent the next pandemic crisis. That work is the foundation of EcoHealth Alliance's rigorous, science-based approach, focused at the intersection of the environment, health, and capacity building. Working in the U.S. and more than 30 countries worldwide, EcoHealth Alliance's strength is founded on innovations in research, training, global partnerships, and policy initiatives. Our mission is to end animal suffering due to overpopulation and preventable diseases, especially in underserved communities. Fidelco Guide Dog Foundation's life-changing mission is to provide men and women who are blind with its elite German Shepherd guide dogs - partners in their engaged and vibrant lives - creating increased independence, safety, and mobility for all clients as they pursue their goals and dreams. <br> <br>Fidelco is inspired every day by our exceptional clients. They climb Mt. Everest, win gold medals as world class athletes, serve America in the military and sacrifice on the battlefield. They educate, create documentary films, work in business and government, raise families, and advocate for those who are visually impaired. <br> <br>About Fidelco Guide Dog Foundation <br>Fidelco is an internationally accredited guide dog organization and respected expert throughout the world. For over five decades, Fidelco has bred the German Shepherd working dog. Since 1981, Fidelco has trained and placed more than 1,450 German Shepherd guide dogs across North America. Front Range Equine Rescue works to prevent the abuse and neglect of horses through rescue and education. The rescue program is at the heart of Front Range's work. Incoming horses with unknown backgrounds are quarantined. Horses come from auctions, kill lots, animal control impound, abandonment cases, and owner surrender. The focus is on abused horses with emphasis on those bound for slaughter. Once healthy, horses can be adopted. The educational program offers information on a variety of horse care topics. Past events have included basic first aid, equine nutrition, trailer loading, fire evacuation, safety on the trail, and effective communication with your horse. National campaigns focus on ending horse slaughter and protection of wild horses. Campaigns include legal action. Special programs assist horse owners with partial reimbursement for gelding stud colts/stallions and for humane euthanasia when needed. FRER offers rehoming tips to help owners safely place horses. Furkids, headquartered in Atlanta, GA, operates the largest cage-free, no-kill shelter in the Southeast for rescued cats, and Sadie's Place, a no-kill shelter for dogs. Furkids also operates one of the only facilities in the Southeast dedicated to the care of FIV positive cats. The Furkids mission is to rescue homeless animals, provide them with the best medical care and nurturing environment while working to find them a forever home. Furkids heals the whole animal, physically and emotionally, restoring its health and its spirit. Georgia Wildlife Federation (GWF) began as a sportsman's organization in 1936 and since then we've grown to become Georgia's oldest and largest conservation organization. Today, our members include bird watchers, hunters, anglers, educators, gardeners, hikers - a diverse group of individuals united by our concern and compassion for the environment. As an organization, GWF takes stands on issues based on ecological and wildlife principles. GWF utilizes our members' diverse interests to work together and move toward a common goal - protecting Georgia's tremendous natural beauty and diversity. Global Wildlife Conservation protects endangered species and habitats through science-based field action. GWC has built its success upon a foundation of excellence in Exploration, Research and Conservation. GWC envisions a world with diverse and abundant wildlife, a truly Wild World. We are dedicated to ensuring that the species on the verge of extinction aren't lost but prosper well into the future. Through our three key goals we are bringing together scientists, conservationists, policy makers, industry leaders and you to ensure a truly collaborative approach to species conservation. Our three key goals are to save species, protect wildlands, and build capacity. Through this approach we are ensuring that species conservation remains core to our approach while addressing larger landscape issue challenges and developing a long term support network to guarantee that our donors and partners investments have the greatest possibility of success. Founded in 1944, Greenhill Humane Society, SPCA provides safe shelter for animals in transition, serves as an advocate for animals and their people, works to end animal overpopulation and educates the public about compassion and responsibility towards all animals. Greenhill envisions a community in which all companion animals have loving homes and are treated with compassion and respect. Our programs include, but are not limited to: Pet adoption services, reuniting pets with their owners, Sheltering of animals who have been abandoned, abused, or neglected, Humane education, Sheltering animals involved in domestic violence or other urgent situations, On-site volunteer opportunities, and Animal foster care. The Greenville Humane Society (GHS) opened its doors in 1930 as the South Carolina Society for the Prevention of Cruelty to Animals (SCSPCA). Over the years, we have helped unite over 250,000 people in the upstate with previously unwanted animals. As a no-kill facility, we work in partnership with our community to create an environment where all animals are treated with compassion and respect. Guide Dogs for the Blind provides enhanced mobility to qualified individuals through partnership with dogs whose unique skills are developed and nurtured by dedicated volunteers and a professional staff. Established in 1942, Guide Dogs for the Blind continues its dedication to quality student training services and extensive follow-up support for graduates. As the largest school serving the United States and Canada, we are able to provide highly personalized training, free of charge. The team spends up to 14 days learning to work together in a variety of real-life situations. The students learn to work their dogs in stores, restaurants and malls, and on all forms of public transportation. The class training is conducted by our licensed Guide Dog mobility instructors. Guide Dogs of America, founded in 1948 under the name International Guiding Eyes, is dedicated to providing guide dogs and instruction in their use, free of charge, to blind and visually impaired men and women from the United States and Canada so that they may continue to pursue their goals with increased mobility and independence. Guide Dogs of America has three primary programs: the breeding program, the puppy raising program, and the guide dog team training program. We also provide advocacy services, training follow-up, and veterinary care at our on-campus clinic, free of charge, for the lifetime of our guide dog teams. Additionally, we offer public education through our web site, tour and speaker programs, and by providing information upon request to help educate businesses or individuals about access laws and guide dogs. The Gulf Coast Humane Society is an animal welfare organization serving Southwest Florida for more than 60 years. Our mission is to provide humane care for surrendered animals by offering refuge, providing medical care, and facilitating an adoptive home. Each year we take in more than 1,000 animals in need of compassionate care. As a no-kill facility, the pets of the Gulf Coast Humane Society remain in our care until they find their Forever Home. HALO (Helping Animals Live On) is a private, non-profit organization founded in 1994 by two women, Michel Herstam and Heather Allen, out of their homes in Phoenix, AZ. HALO provides temporary shelter to abandoned cats and dogs until they can be adopted into a permanent home. We help Animals Live On through increased adoption, sterilization and pet care education Since 1994 we have found homes for more than 60,000 pets! Founded in 1937, Halifax Humane Society serves the Greater Daytona Beach area in Volusia County, Florida. We are an open-door animal shelter, receiving over 25,000 animals annually through city contracts and owner surrenders. Kennel and cage capacity can comfortably house approximately 350 animals per day and is usually full. Equipped with a spay/neuter clinic, we perform early-age spay/neuter surgeries to ensure that all adopted animals are altered before entering a new home. Low cost spay/neuter certificates are also made available to the public. We provide humane education to any and all schools, businesses, civic groups, etc. through speaking engagements, tours and material. "To conserve birds of prey worldwide by providing leadership in raptor conservation science and education, and by maintaining Hawk Mountain Sanctuary as a model observation, research, and education facility." <br><br>Hawk Mountain is a leading voice for raptor conservation globally and operates a 2,500-acre Appalachian wildlife Sanctuary, open to the public, year round. The Sanctuary connects people to nature and the annual autumn raptor migration, and by association, raptors globally. <br>Endowment, grants, bequests, admission fees, and membership dues support local-to-international scientific research, training, and education programs. <br><br>Hawk Mountain Sanctuary is best known for its annual autumn hawkwatch, the longest-running raptor migration count in the world and, more recently, its international Conservation Science Training Program. The current strategic plan calls for a new focus on growing the conservation education program to a similar leadership level. The mission of HawkWatch International (HWI) is to conserve our environment through education, long-term monitoring, and scientific research on raptors as indicators of ecosystem health. We believe that through our efforts to monitor and protect birds of prey (also known as raptors), we can also protect our shared environment, our rich natural heritage, and ourselves. HWI was founded in 1986. The core of HWI's research program focuses on the development and maintenance of a long-term, large-scale database of raptor population numbers and trends. HWI conducts education programs using live raptors to stress the essential importance of nature's complex inter-relationships, the value of raptors as environmental barometers, and to promote environmental awareness and responsibility. Heart of the Valley (HOV) is an animal shelter located in Bozeman with the mission to compassionately shelter the lost and surrendered pets of Gallatin and Madison valleys, and to enhance the lives of people and companion animals through pet adoption and education. HOV handles more than 2,500 cats and dogs every year. We have an open door policy and do not euthanize for space or length of time. Being an "open door" shelter means that HOV accepts any lost, abandoned or surrendered companion animals (cats or dogs) from anywhere. The animals arrive at HOV for all sorts of reasons and in every imaginable condition. No matter the circumstance or condition, HOV accepts them. The Henry Vilas Park Zoological Society was organized as the Madison Zoological and Aquarium Society in 1914. The society's purpose is to build community support and provide funding for improvements to the Henry Vilas Zoo. This includes the acquisition, conservation, and replacement of animals; refurbishing and creating new exhibits; supporting educational programs; and improving the overall educational and recreational value of the zoo. The Zoological Society contributes generously to the Zoo's operating budget. The society has been instrumental in providing funding for many zoo improvements, generally in partnership with the county and city. Founded in 1924, the Houston SPCA is Houston's first and largest animal protection organization and shelter. Our mission is to promote commitment to and respect for all animals and free them from suffering, abuse and exploitation, and our vision is that we will lead our community to appreciate the value of animals. Committed to all animals, the Houston SPCA provides quality, humane care to dogs and cats, rabbits and other small mammals, birds, horses, farm animals and more. We also facilitate the protection and rehabilitation of injured, ill, orphaned and oiled native wildlife through our affiliate, Wildlife Rehab & Education. We are also the only shelter in the Greater Gulf Coast area with the ability to provide humane, temporary shelter to big cats and other exotic animals. All programs offered by the Houston SPCA-excluding adoptions, pet-training classes and Critter Camp-are free of charge, a service to our community and its animals, and we place 100% of our adoptable animals. Houston Zoo connects communities with animals, inspiring action to save wildlife. We have over 6,000 permanent residents (our animals) for whom we provide housing, meals, medical care and, yes, even education! There are over 2 million guests each year who come to experience our incredible variety of animals and ecosystems, as well as attend special private and public events and entertainment. Our dedicated staff works around the clock to ensure that the Zoo is always running smoothly for the safety and well-being of our residents and guests. Humane Indiana works within a no-kill philosophy, provides shelter and medical treatment for unwanted and abandoned animals while finding loving adopting homes. It promotes population control along with kindness and ethical treatment through education and example. Founded in 1978, the Humane Society of Charlotte is working with you to create a world where there are no more homeless and unwanted animals. As a space available shelter, our policy is that all animals at the Humane Society are offered the opportunity of a safe and loving home. The Humane Society of Charlotte's mission is to bring love and hope to all animals by insuring the humane treatment of companion animals through adoption, spay/neuter and education. Our vision, all animals in safe and loving homes, will be accomplished by providing care and compassion for all animals, physically and emotionally; education and information on the humane and responsible treatment of all animals; respect for animals and people; integrity in word and deed; collaboration with the community; and being fiscally responsible and accountable to the community. The Humane Society of Elkhart County (HSEC) is dedicated to promoting respect and responsibility for all animals and to the prevention of suffering and neglect through education, public service and adoption. Because we provide animal control to most of Elkhart County, we are considered an open admission shelter. This means HSEC will not refuse animals from Elkhart County service area residents if the shelter is full. Although we are an Open Admission shelter, we are proud to say that every animal that goes into our adoption center stays there until they are adopted. We have worked really hard to try every effort of finding an animal a home by adoption or working with legitimate animal welfare groups. If the animal won't fit well in our adoption center, we will try to find another animal welfare group to give it a home. The Humane Society of Greater Dayton builds loving relationships between people and pets. Our vision is to build a community in which all animals are valued and family life is enhanced through relationships with pets. We find homes for homeless pets; reunite lost pets with their families; and lower pet overpopulation through proactive spay/neuter programs. We also work to eliminate animal abuse and neglect through cruelty investigations and community action; serve as a resource for pet owners to enhance the human-animal bond; collaborate with community organization and companies to make our programs more effective and strive to be the area's most proactive and effective animal-care agency. We have served Montgomery County for more than 100 years. HSHV's mission is to support the loving, responsible care of all animals in our community by:<br>-Ensuring proper, nurturing care for the animals in our shelter<br>-Placing all adoptable animals in loving homes<br>-Reducing pet over-population<br>-Caring for the physical well-being of animals in our community<br>-Providing education and outreach to the community<br>-Stopping animal cruelty<br><br>We are the only animal shelter in Washtenaw County that takes in all types of unwanted, injured, lost, stray, abandoned, and abused animals. The Humane Society of Indianapolis (IndyHumane) is the leading voice for the welfare of animals and improving their quality of life. Our vision is that all central Indiana animals are treated with dignity and respect and live free from cruelty, harm and neglect. IndyHumane is the first choice in providing direct services for shelter cats and dogs, including adoption, foster home placement, behavior training, appropriate medical care, and affordable spay/neuter services. <br><br>As the voice for the animals, IndyHumane brings together like-minded animal-focused individuals and groups to educate the public about animal welfare issues and concerns. For over 100 years, it's all about the animals. The mission of the Humane Society of Manatee County is: HSMC is committed to leading Manatee County in fostering compassion and respect for animals through care, education and collaboration. Our programs are focused on prevention and retention and include: Low cost spay/neuter services, trap/neuter and return for feral cats, Pet Safety Net resources to help you care for and keep your pet, rescue and adoption of orphaned dogs and cats. We are a community-based private non-profit organization that relies entirely upon donations to do our lifesaving work. Our funding comes from people like you. We receive no monies from any national organization or government entity. Since 1870, the Humane Society of Missouri has been dedicated to second chances. We provide a safe and caring haven to all animals in need - large and small - that have been abused, neglected or abandoned. Our mission is to end the cycle of abuse and pet overpopulation through our rescue and investigation efforts, spay/neuter programs and educational classes. We are committed to creating lasting relationships between people and animals through our adoption programs. We further support that bond by making available world-class veterinary care, and outstanding pet obedience and behavior programs. Since its founding in 1904, the Humane Society of New York has been a presence in New York City, caring for animals in need when illness, injury or homelessness strikes. Today our hospital and our Vladimir Horowitz and Wanda Toscanini Horowitz Adoption Center help more than 38,000 dogs and cats annually, and their numbers continue to grow. The Society has long been noted for its innovative, highly individualized approach to animal care; its pioneer attitude is now reflected in programs coming to the fore nationwide. On any given day the Society is responsible for hundreds of animals with diverse needs. For many, the Society is the only place they will find help. The Humane Society of North Texas (HSNT) has been serving Tarrant and surrounding counties since 1905. HSNT's mission is to act as an advocate on behalf of all animals and to ensure their legal, moral and ethical consideration and protection; to provide for the well-being of animals who are abandoned, injured, neglected, mistreated or otherwise in need; to promote an appreciation of animals; and to instill respect for all living things. In accordance to our mission, we promote kindness, justice and mercy to every living creature entering our door. To accomplish our mission, we provide adoptions, humane investigations, animal surrender and admission, emergency rescue, a spay and neuter program, lost and found, and animal education. Established in 1949, The Humane Society of Pinellas (HSP) is Pinellas county's largest no-kill animal shelter that finds homes for more than 2,500 animals each year. Beyond adoptions, the Humane Society of Pinellas provides life-saving care and services to help keep pets and people together. Programs offered include a low-cost Pet Clinic, affordable spay/neuter services, TNVR (Trap-Vaccinate and Release) for stray and community cats, a behavior helpline and training classes, and a pet food pantry for low-income pet owners. HSP's Senior Pet Connection program supports low-income and homebound seniors by making monthly deliveries of pet food and supplies at no cost. Like a "meals on wheels" for pets, our dedicated staff and volunteers also assist participants with routine vaccines and preventatives in addition to the pet food. HSP's Deanna Marie Palestra Humane Education & Outreach Program reaches more than 6,500 kids annually through 164 programs. The Humane Society of Pulaski County (HSPC) is a no-kill shelter that helps animals in central Arkansas. Founded in 1946, HSPC offers a variety of programs and services to the people and animals in the community, including providing quality animal care in our no-kill shelter, housing approximately 200 animals at a time; carefully screening adoptions and placing animals in good new homes; providing emergency animal rescue and medical treatment for the rescued animals; reuniting lost and found animals with their families; sponsoring volunteer activities; obtaining medical care for animals in our shelter; promoting animal welfare; offering foster care programs; and educating children, civic groups and the community. The Humane Society of South Coastal Georgia is dedicated to promoting the compassionate treatment of animals in our community through adoption, public spay/neuter services, sheltering and education. We advocate responsible pet ownership through community outreach, involvement and education. The Humane Society of Tampa Bay, established in 1912, is dedicated to ending animal homelessness and providing care and comfort to companion animals in need. Our core programs include shelter and adoption of homeless dogs, cats, rabbits, and pockets pets. Providing affordable veterinary care and sterilization for owned pets in our community, Trap/Neuter/Vaccinate/Return (TNVR) of free roaming cats, providing safety net programs to keep pets in their homes and providing numerous community outreach programs and services. Some of our safety net programs include: Animeals, Pet Food Assistance, Shot Clinics, and Save-A-Pet Medical Fund. These programs are all designed to help keep pets in their homes. In 2014, our Animal Hospital received accreditation by the American Animal Hospital Association (AAHA), the gold standard of veterinary medicine. We were the first non-profit hospital to receive this recognition. In 2016, we received this certification again. Founded in 1949, the Humane Society of the Pikes Peak Region (HSPPR) is dedicated to the care and protection of domesticated animals in our community. Our mission is to prevent animal cruelty and neglect and to promote a responsible community where animals are inherently valued and owners are committed to their pets. On average, more than 23,000 animals pass through the Humane Society of the Pikes Peak Region's doors annually: lost pets, injured animals, rescued animals, and surrendered animals. HSPPR is the largest animal shelter in southern and western Colorado, serving thousands of citizens and pets annually through our animal services, and by offering volunteer opportunities, education services and community outreach programs. Since 1955, the Humane Society of the Treasure Coast (HSTC) has been the leading advocate for animal welfare in the Martin County area. HSTC is an open admission shelter with no time limit on hope. We accept all animals regardless of health, age, temperament or breed. Our mission is to assure a better life for companion animals by providing shelter, finding loving homes and promoting respect for their place in our lives. HSTC cares for more than 6,000 animals every year. Over the years more than 100,000 animals have received care through HSTC's programs and services. The mission of the Indianapolis Zoo is to empower people and communities, both locally and globally, to advance animal conservation. To this end, we see ourselves as a conservation organization that operates a zoo as a key engagement and outreach strategy. The Zoo provides engaging exhibits throughout five biomes (Oceans, Deserts, Forests, Plains and Encounters). Each new exhibit is designed to provide an up-close encounter with the animal, and information that will enlighten guests about current conservation issues, empowering them to take personal action. The International Crane Foundation (ICF), founded in 1973, works worldwide to conserve cranes and the wetland and grassland ecosystems on which they depend. ICF is dedicated to providing experience, knowledge, and inspiration to involve people in resolving threats to these ecosystems. We strive to alert scientists, government officials, and the public to the dependence of cranes on their habitats, the causes and remedies for habitat destruction, and the importance of wetlands and grasslands for both wildlife and people. ICF supports research, serving primarily as a catalyst for research, by making available its facilities and bird collection to scientists, by sponsoring workshops and publications, and by nurturing a network of conservationists, biologists, and managers around the world. The International Primate Protection League (IPPL) was founded in 1973, and, since this time, has been working continuously for the well-being of primates. IPPL has Field Representatives in 31 countries. In countries where primates live, IPPL's Field Representatives work to create and preserve national parks and sanctuaries, and for bans on primate hunting, trapping, and local and international trade. IPPL's educational efforts have contributed to decisions by many countries to ban or restrict primate trade and to establish programs to protect primate habitat. IPPL has raised funds to help other sanctuaries working to provide a safe and enriching environment for primate victims of deforestation and poaching. Founded in 1989, the International Rhino Foundation (IRF) is dedicated to the survival of the world's rhino species through conservation and research. For 25 years, IRF has funded and operated rhino conservation programs in Africa and Asia, focusing expertise and resources in areas where rhinos are most in need of protection, and where conservation efforts will do the most good. At the heart of IRF's vision is the belief that these magnificent species should endure for future generations, and that protecting rhinos ensures the survival of many other species, including people.<br><br>Since its founding, IRF has also provided funding for scientific research that enhances the ability to manage rhinoceros populations both in the wild. IRF has awarded early $700,000 to applied rhino research in the past 10 years, and is the only source of funding exclusively devoted to rhinoceros. Suggest a new non-profit or a new brand we could partner with!